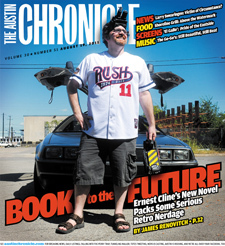 Ernest Cline is a writer for the ultimate video game/sci-fi nerd. From Atari to arcades, his stories, so far, involve the history of the video game and its place in society, the future of video games and the Internet’s role in society. He also hypes up on ’80s pop culture and talks about the video game designers/creators. Because of the ultimate nerd subject matter, you would think that his stories might be difficult for people outside of this realm to connect to. But you’re wrong. I loved video games. I don’t play them often because I find them incredibly addicting and if I did, I would never get anything else done, including my own writing. I have never played 99% of the video/arcade games that Cline mentions in his stories, nor do I know many of the ’80s pop culture references he makes. And yet, I make it into Cline’s audience. I can read his books and understand what is going on and what he is saying. I connect with his characters as they nerd out about their respective subjects. I love sci-fi stories, I have the understanding of how video games work and I have many friends who nerd out over pop culture so I’m familiar with their enthusiasm. Cline’s new book, Armada, was released two days ago and was finally delivered to my Kindle thanks to my pre-order a few weeks ago! And in my opinion, this new book of spaceship/alien battles and video game nerd-dom floats along just fine. I read Ready Player One, Cline’s first publication, at the suggestion of a friend of mine who is a Star Trek nerd and fellow writer. I tore through that book so fast that I was devastated when I reached the end of it. I was even more disappointed when I discovered that there weren’t other books to read by Cline. Video games intertwining with real life and online worlds. I was completely hooked! NPR didn’t have a lot of positive things to say about Cline’s new book, Armada, and reviews on Goodreads vary in the extreme. But I’m not the traditional reader that Cline is attempting to reach and not everyone is going to have the same opinion about a certain book. I think you must have a certain appreciation for what the book is and who Cline is. Not that I know or understand him personally, but with friends who have their own unique obsessions, I can relate to and appreciate what he is doing. I don’t geek out about the quotations and references too much, though I do appreciate the Lord of the Rings references. They make me happy. NPR’s critique of the “what’s old is new again” concept of Cline’s work is hardly something to fault. This concept exists everywhere in pop culture from fashion to literature and even music too in some ways. People love revivals. For me personally, I love that Cline takes all of these real things and twists them together to create elaborate stories about the world around us. It makes my imagination run wild and gives me hope that maybe just MAYBE life is more interesting than society makes it…at least I wish. He takes something old and creates a new idea from it. I think that’s genius and people all throughout literature try to do this with varying degrees of success. Another critique I’ve seen is the narrator’s voice. People have claimed to dislike Zach Lightman’s voice because of its youthfulness which a reviewer describes as “clunkiness.” But the nature of Cline’s prose suggests that he doesn’t take what he’s doing too seriously and that he’s truly in the voice of his characters. This is something to be commended, not critiqued. Readers also have trouble with the heavy-handed pop-culture reference dropping. And sometimes, it does get a little cheesy. But, it’s the nature of Cline and the nature of his characters. And yet, from the very first sentence, “I was staring out the classroom window and daydreaming of adventure when I spotted the flying saucer,” the reader descends into awesomeness. I’ve not made it through the entire story of Armada yet, but I love it so far. It’s clever and fanboy-ish and the characters are fun. Plus, it gives me my first view of the word “cosplay” in a legitimate printed publication. 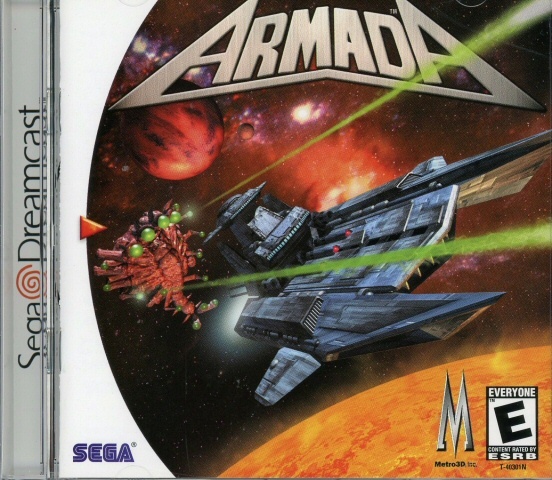 I don’t know anything about Armada the video game or Terra Firma either. But I do know Ender’s Game and I’ve read the entire series. I don’t yet know how, but Armada involve Orson Scott Card’s book Ender’s Game which is one of my all-time favorite reads. Critics say there is no comparison between Ender’s Game and Armada and that may be. But Card and Cline are two different people with different agendas, experiences and writing styles. If you want my advice, go into this book with an open mind. Enjoy it for what it is and let the story take wing and set sail on the adventure it creates.